Lian is Professor of Environmental Science in the Urban Pollution Research Centre. Her research has focused on sustainable stormwater management, the transport and behaviour of urban pollutants and the use of multi-criteria analysis a decision support tool at a national and international level. Recent research has applied an ecosystem approach within an urban context and begun to consider the use of sustainable urban drainage systems (SUDS) as multi-functional ecosystem service providers within the context of water sensitive cities. Lian is currently co-ordinator of the EU TEMPUS I-WEB project, supporting three universities in Kazakhstan to develop Bologna-compliant integrated water cycle management MSc and PhD programmes. 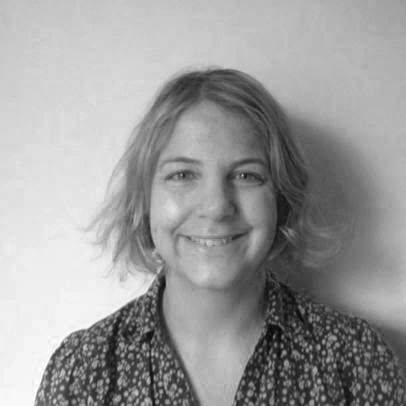 She is co-lead of the Risk Assessment and Policy Development working group of the wastewater re-use COST action NEREUS. Lian is co-PI on a Sustainable Society network grant which aims to develop and test a smart phone app to explore linkages between environmental quality and community resilience. She has recently completed research grants for Defra and the Scottish Government focussed on supporting policymakers to implement an ES approach. Lian's primary research interests are in the field of urban environmental pollution and its mitigation using sustainable drainage systems, sustaining the delivery of urban ecosystem services and supporting practitioners and policy makers to address current and emerging urban water quality and quantity challenges. DM Revitt, L Lundy, F Coulon and M FairleyThe sources, impact and management of car park runoff pollution. Journal of Environmental Management. In press. R Ashley; L Lundy; S Ward; P Shaffer; L Walker; C Morgan; A Saul; T Wong and S Moore (2013) Water-sensitive urban design: opportunities for the UK. Proceedings of the ICE - Municipal Engineer 166, 65 –76. JB Ellis, DM Revitt, L Lundy (2013) The urban water cycle approach in small development areas. Proceedings of the ICE - Municipal Engineer 166,77 –85. DM Revitt, L Lundy, E Eriksson and C Viavattene (2013) Comparison of pollutant emission control strategies for Cd and Hg in urban water systems using substance flow analysis. Journal of Environmental Management 116, 172-180. DM Revitt, JB Ellis and L Lundy Risk assessment of urban surface runoff quality following best practice treatment. Science of the Total Environment 416, 172-179. L Lundy, JB Ellis and DM Revitt (2011) Risk prioritisation of stormwater pollutant sources. Water Research, Water Research 46, 6589-6600. E Eriksson, A Ledin, M Revitt, L Lundy, HC Holten Lützhøft, T Wickman and PS Mikkelsen. (2011) Water management in cities of the future using emission control strategies for priority hazardous substances. Water Science and Technology 64 (10), 2109-2118. Lundy, L. and Wade, R. (2011) Integrating Sciences to Sustain Urban Ecosystem Services. Progress in Physical Geography, 35; 5, 653-669. E Donner, E Eriksson, DM Revitt, L Scholes, H-C Holten Lützhøftand A Ledin(2010) Presence and fate of priority substances in domestic greywater treatment and reuse systems. Science of the Total Environment, 408, 2444-2451. K Karlsson, M Viklander, L Scholes and M Revitt (2010) Heavy metal concentrations and toxicity in water and sediment from stormwater ponds and sedimentation tanks. Journal of Hazardous Materials. Doi: 10.1016/j.jhazmat.2010.01.129. Revitt, D. Mike and Tuckwell, Rebecca and Garelick, Hemda and Jones, Huw and Lundy, Lian (2017) The fate of bezafibrate, carbamazepine, ciprofloxacin and clarithromycin in the wastewater treatment process. In: 14th IWA/IAHR International Conference on Urban Drainage, 10-15 Sept 2017, Prague, Czech Republic. Smith, Brian and Lundy, Lian and Revitt, D. Mike (2017) A new approach to SuDS adoption in the UK. In: 14th IWA/IAHR International Conference on Urban Drainage, 10-15 September 2017, Prague, Czech Republic. Lundy, Lian and Ellis, John Bryan and Revitt, D. Mike (2017) An impact assessment for urban stormwater use. In: 14th IWA/IAHR International Conference on Urban Drainage, 10-15 Sept 2017, Prague, Czech Republic. SCOREPP (Source Control Options for Reducing the Emissions of Priority Pollutants); EU Framework 6.